With law firms expecting a brighter year in 2012, it is important for firms and their lawyers to keep up-to-date with their marketing and business development practices. One such practice involves optimising web presence, which is otherwise termed “Search Engine Optimisation” or “SEO”. Yesterday, I joined US lawyer and cold case blogger Vidster and his Defrosting Cold Cases audience to share some tips about blogging and SEO for lawyers. I thought it would be useful, in addition to that discussion, to post some of my tips specifically relating to law firm websites and law firm blogs, which follows on from WardBlawg’s top 7 seo tips for law firms from last year. Why Develop a Strong Web Presence? The ultimate goals in any web presence strategy for most firms should be increasing online business generation and brand awareness. Search engines, such as Google, are becoming a first port-of-call for many potential clients. With a strong web presence allowing your firm to reach the top spots on Google, it is, therefore, more likely that potential clients will follow-through to your firm’s website and, consequently, may pick up the phone or send an introductory email. 1. First, choose targeted keywords for which your firm’s clients, prospective clients or referral sources would search if looking for your firm and its services. Thereafter, include or ensure that your web developer has included those targeted keywords in key positions of the law firm’s website e.g. meta titles, meta descriptions and within articles themselves, without “stuffing” those keywords i.e. don’t repeat the same keywords over and over. 3. Third, following on from this point, keep your firm’s website updated with good quality content that people will want to share and from which they get value. One of the best ways to do this is to integrate a blog with the website and allocate a team of lawyers or legal journalists within the firm to keep the blog updated, using targeted keywords, key-phrases, tags and categories. For a free initial discussion about how your law firm’s website and social media strategy can be improved, please telephone law firm website design experts, Moore Legal Technology 0845 620 5664. Also follow MLT’s law firm website design, SEO and social media updates on Twitter, LinkedIn or Google+. Thanks for the great article – I love seeing things in 3 simple steps. For #2 I woudl add to make sure on your Firm’s Linked In page you incorporate the same targeted keywords as on your website. Thanks for your comments Peggy. I agree that incorporating targetted keywords on the firm’s LinkedIn page (and indeed even on individual profiles) is important. Same for Twitter, Facebook pages and Google Plus pages – sometimes I hear lawyers saying that they prefer to view such social networks as satellite sites through which people are directed to their main website or landing pages within the website. 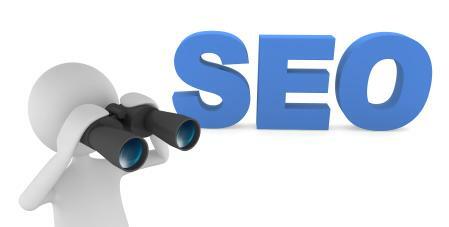 If viewed in that way, SEO for the social media accounts also becomes important. If anyone has any questions about optimising social media accounts please do let us know.